Have you started your holiday shopping? I normally buy gifts throughout the year so I don't feel stressed when the holidays approach. This year, though, I wasn't on top of it. With Thanksgiving on Thursday, I feel like I'm going to blink and it will be Christmas! 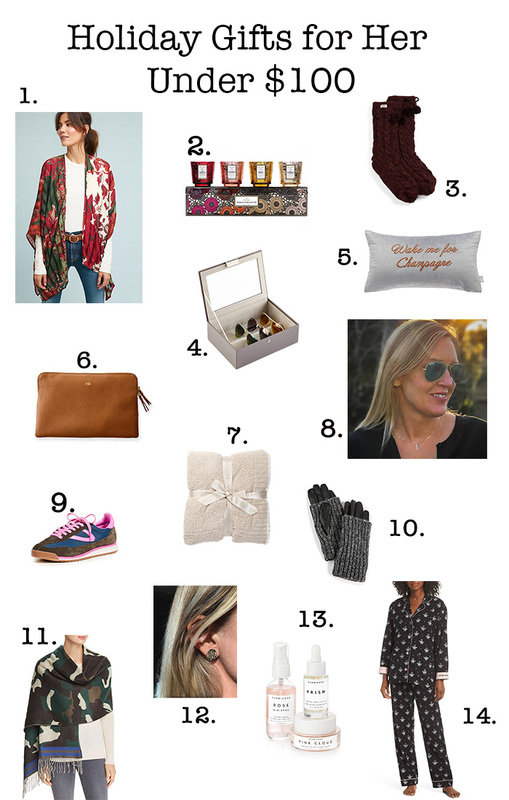 So with that in mind, this week's holiday guide is for your sister, mom, friends - all the girls on your list! I've picked out some fun pieces with price points between $20 - $100! Happy Shopping!